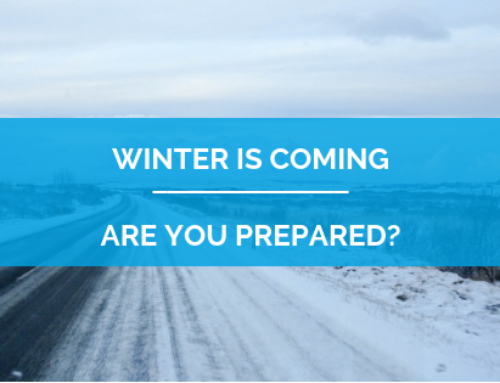 Days of snow plows, freezing rain, and salted roads are ahead of anyone living in colder climates. Being careful on the road is important for everyone’s safety. 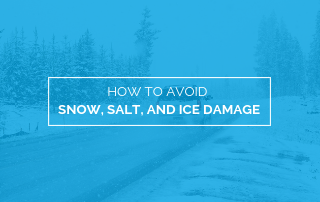 While salt helps keep us safe on the road, it also causes car damage and rust. When metal and water meet, a chemical reaction starts that creates rust. It is generally a slow process, but salt accelerates it. Snowy areas are not the only places with higher risk of rust. Coastal areas with the ocean’s salt water also have higher risks of rust. Being aware of the potential for rust damage and knowing ways to protect your car from rust can help your car last longer, be safer, and save you from costly repairs. These problems can make a car less safe because rusted metal is weaker than non-rusted metal. Rust affects gas mileage and the frequency of oil changes. It can also affect the car’s ability to function properly. Fixing rust damage can be expensive. Rust can result in needing to repair oil and gas leaks. Sometimes, finding the leak is a tricky and expensive process. Rust can also require the replacement of whole panels on the surface of the car, engine parts, or the electrical system. Unfortunately, most car warranty companies do not cover repairs resulting from rust. Rust is considered part of the normal wear and tear of a vehicle, so it’s important for car owners to take steps to present rust. If you live in a climate with a higher risk of rust, then working to prevent rust is especially important. Many car dealerships and manufacturers initially apply paint and other coatings to protect cars from rust. Over time, however, these coatings can be damaged which reduces their effectiveness. Fortunately, car owners can prevent rust beyond what car dealerships and manufacturers do. Regularly washing a car keeps it clear of dirt and salt that could corrode the protective coatings and expedite the rusting process. Wax provides an additional layer of protection that can prevent damage to the vehicle’s protective coatings. Storing the car indoors keeps it out of the elements and keeps it dry. Additional protective coatings such as anti-rust sprays and lubricants can perform the same function that the original manufacturer coatings do. People buying used cars should also be wary of rust on any potential purchases. Whether or not you live in a snowy or coastal area, you’ll want to choose a car with as little risk of rust as possible. Since some areas are more likely to cause rust, you’ll want to avoid purchasing cars from those locations. When looking at a vehicle, car owners should look for telltale signs of rust. Look for obvious brown spots on the car’s surface and check for bubbles. Bubbles underneath paint can be a symptom of rust in deeper parts of the car. It’s also a good idea to ask a mechanic to look at the bottom of the car for rust. The bottom of the car is an especially vulnerable place because salt and chemicals from the road hit it more frequently than other areas. Rust on the bottom of the car can also lead to fluid leaks, exhaust damage, and engine damage. Rust can have a detrimental effect on a car’s appearance, function, and safety. It’s important for car owners to take steps to protect their vehicles from rust, especially in snowy and coastal areas. Regular car washes and waxings can help prevent rust from developing. Car buyers who are looking at purchasing used vehicles should examine cars for rust to help them avoid costly repairs. Alice Stevens writes and manages content for BestCompany.com, an independent and impartial review site where companies don’t “pay to play” and consumers can access real customer reviews and educational materials to help them decide which companies are best for them.